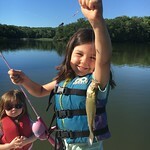 My First Fish recognizes a new angler's achievement of catching their first fish. A certificate with the angler's name, date, species caught, length, and fishing buddy or Captain will be awarded to commemorate the event. 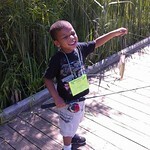 When your youngster has accomplished this achievement, click on My First Fish Certificate to access a fillable pdf. Fill it out online and print it on your color printer. You can also attach a photo to the top right corner. 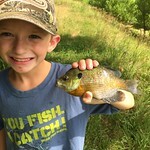 Any fish is eligible that is caught in Maryland waters. All fish that do not comply with Maryland law or regulations must be immediately returned to the water. 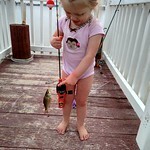 Any angler is eligible regardless of age.